Among the appeals of train travel is the ability to move between urban city centers easily, but until now, bringing your bike along for the ride was a burdensome venture. Well, good news cyclists. 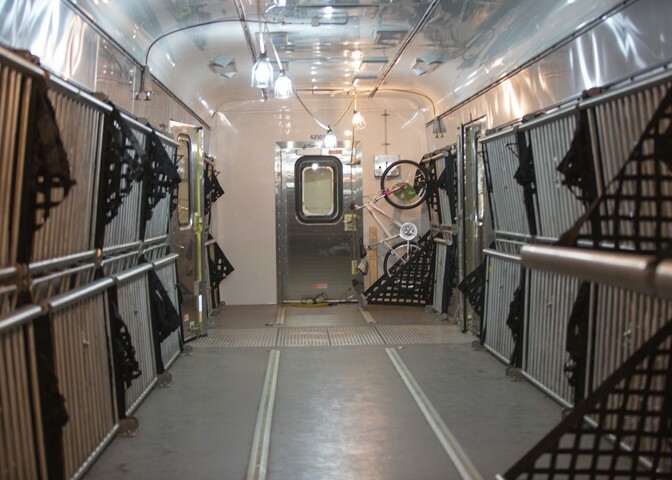 Amtrak is making it a whole lot easier to bring your bike aboard its trains. Gone are the days of having to break down your bike, pack it into a box, and stow it with luggage. 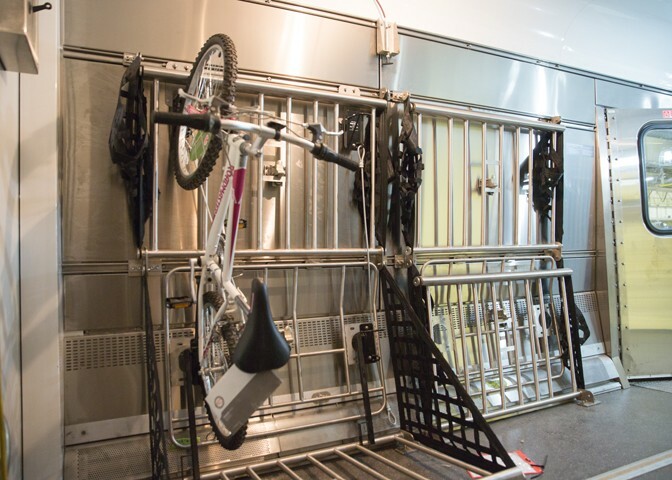 The train operator is set to launch new storage cars that include bike racks. “The new baggage cars will be used on all 15 long-distance routes, which means the benefits of improved reliability and an enhanced climate-control environment for baggage will be available to our long distance customers by the end of 2014,” Amtrak said in a statement. “Also, the new cars will be equipped with built-in luggage racks that will be able to secure unboxed bicycles (hooray! ).” Hooray is right. In recent months, Amtrak has made some high-profile attempts to appeal to a younger demographic. There is, of course, the Amtrak Residency program, which allows “creative professionals who are passionate about train travel and writing to work on their craft in an inspiring environment.” And then there was that time Amtrak invited 30 young, media types to take a free ride from Los Angeles to SXSW. But while bike storage may appeal to younger riders, this move by Amtrak is more than an attempt to grab headlines—it is a tangible way to make train travel work better for everyone.